FACT - 1 in 6 Americans will go to bed hungry tonight. FACT - 1 in 200 Americans will experience homelessness. FACT - 7.6 Million Pets will enter Animal Shelters this year. FACT - 4-7 Children die each day due to abuse or neglect. It doesn't have to be this way - we can all help! The statistics are alarming. Heartbreaking, for sure. But, I believe, that if we all pitch in to help, these horrible stats would decrease. Too often good people turn away from the truth because the truth is hard to handle. Ignoring the problems will never make them go away. It is our duty as human's to help one another. 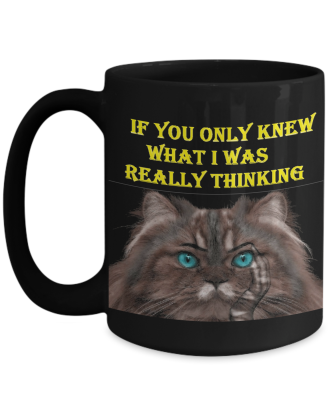 That is why I have created "Mugs for Charity". For every coffee mug that is sold, 75% goes to help a charity. I will be posting the amounts and the charity's each month. Please check out the mugs below and consider making a purchase to help those who are less fortunate. Each mug is of very high quality and your purchase will mean so much to someone in need. Thank you for your support! Just for the Millennial baby. 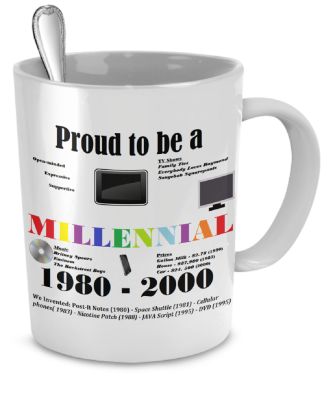 Show them you're proud to be a Millennial baby and why! This item is NOT available in stres. 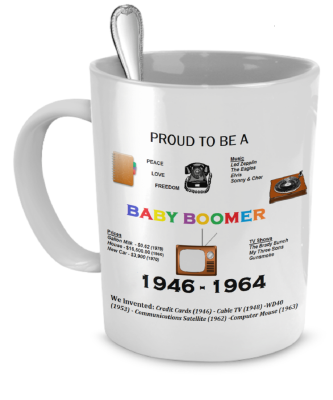 Of course we can't forget about the Baby Boomers! Let her know it's football season. 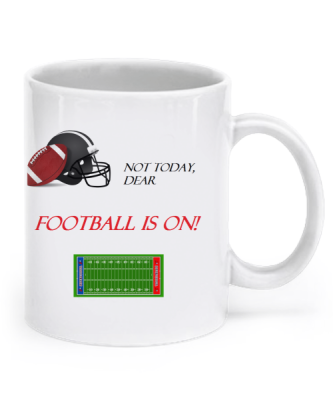 This mug is currently on sale for all football lovers! For more options, please visit my store here . Interested in creating and selling your own mugs? It's FREE! Click HERE to learn more!